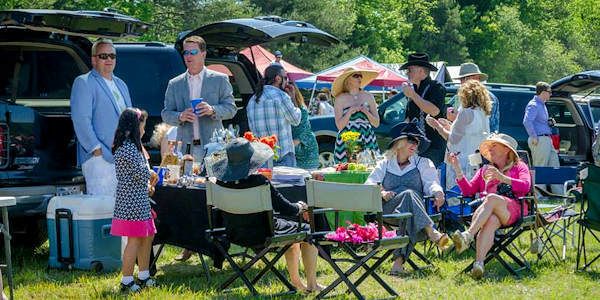 Bring friends to celebrate with picnics, sundresses, elegant hats, tailgating and the sounds and sights of thoroughbreds thundering past. 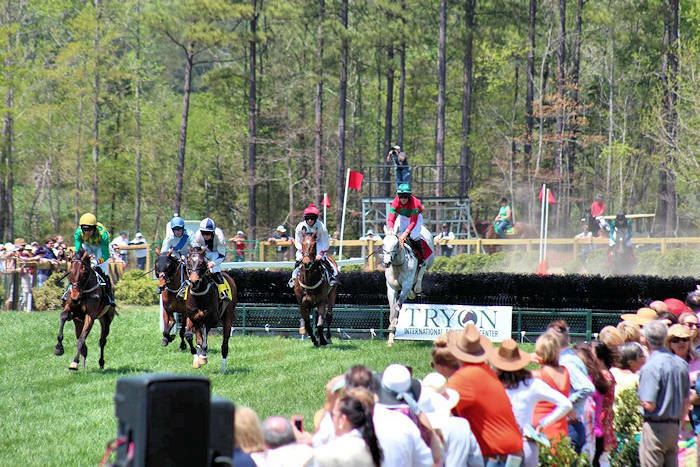 The Tryon Block House is the longest running steeplechase in North Carolina, occurring continuously since 1947. The National Steeplechase Association sanctions four of the races. 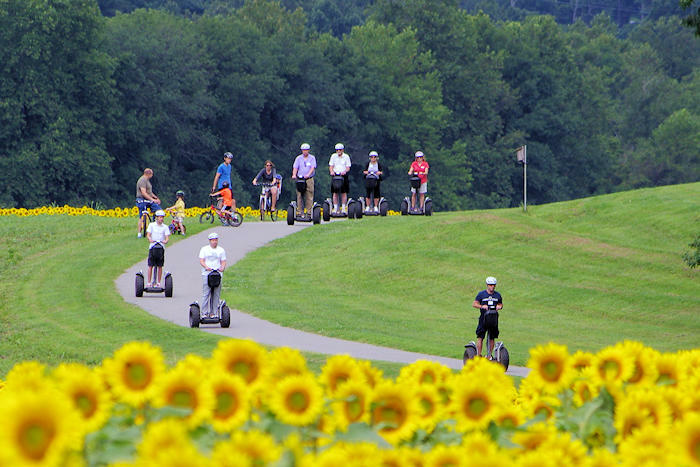 It's located near Columbus, about 50 miles from Asheville. The Tryon Riding & Hunt Club (TR&HC) and Tryon International Equestrian Center (TIEC) have teamed up for a perfect location with a one-mile track (about five miles from the TIEC complex). This year's race will have a total purse of $135,000 - attracting 40 top-tier jockeys. It is rain or shine since these races are on a circuit and cannot be rescheduled. Sorry, no betting. While the races run in the afternoon, gates open at 9 AM. Tailgate judging (categories like "Best Hunt Country" and "Best Fancy Party) and the hat contest start at 11 AM. Tickets are sold by the carload in advance and includes convenient parking right by the track - infield or outfield. Buy tickets in advance and pick your parking space. Tickets sold on-site until 11 AM on race day. There will be craft beer tents. Food is available. You can bring your own beer, wine and food for tailgating. Table, chairs, blankets, coolers and well-anchored tents up to 10x10 feet are permitted. No charcoal grills, pets or glass containers. Races start at 2 PM and run every 30 minutes, professional and amateur. Horses may be viewed in the paddock before each race. 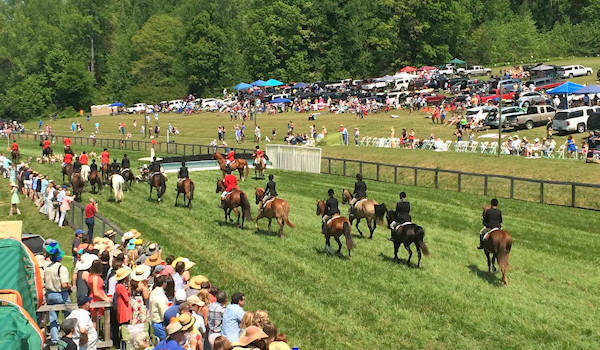 The Tryon Riding and Hunting Club presents the Block House Steeplechase. Memberships available so you will stay informed of events year-round. Join competitions for attendees, including the hat contest, tailgate contest and the infamous "Go to Heck Pants" contest. Photos provided by TIEC. 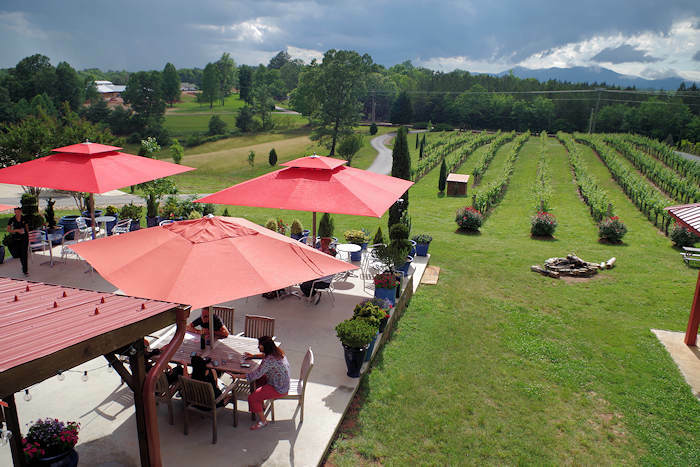 Find a great vareity of historic B&Bs and inns in the towns of Tryon, Saluda and Columbus, the First Peak of the Blue Ridge. Includes award-winning Pine Crest Inn and Orchard Inn with exquisite dining. 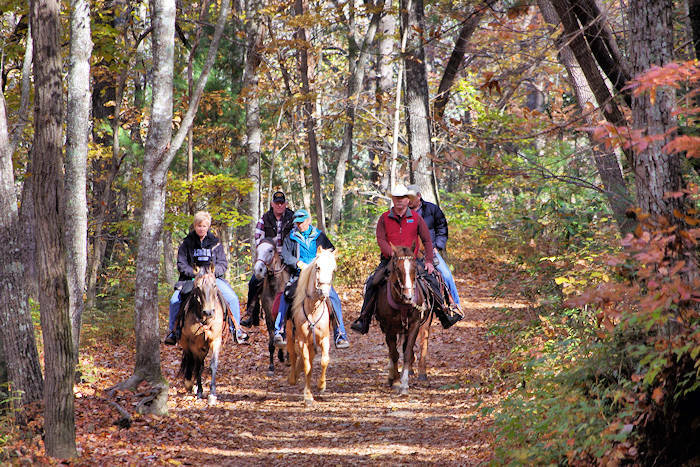 Find log cabin, condo or cottage vacation rentals by ponds or with mountain views in the First Peak of the Blue Ridge - many options near the Tryon International Equestrian Center.